During this period, there will be no upstairs classes. If you normally train in the upstairs dojo, please check the schedule for class times in the main dojo. 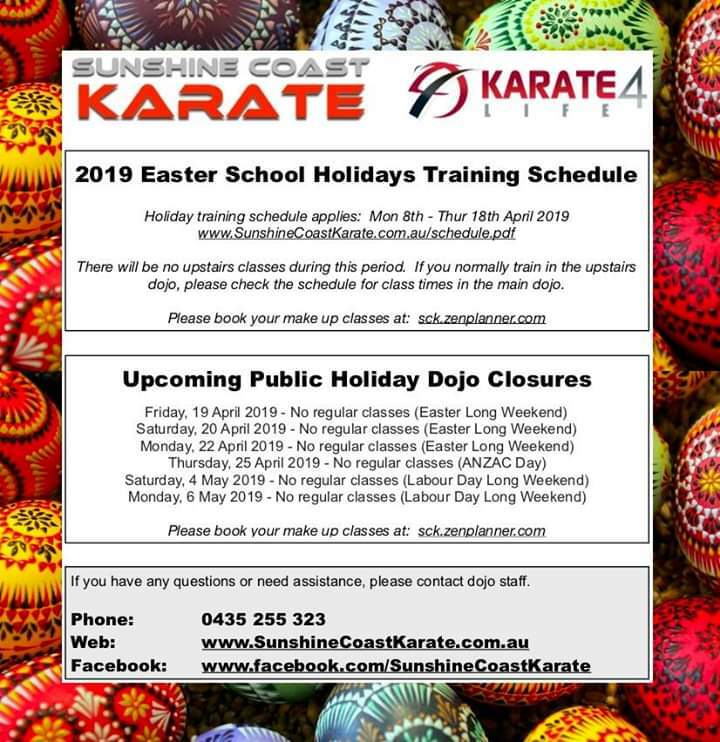 ALSO: Don’t forget, dojo will be closed for the following public holidays and long weekends.